Boston engineering company limited. was founded in 1997 to produce automotive filter under trademark “CORNER” Throughout the business, by experience and vision of allexecutives,Boston Engineering has emphasized in continually developing product quality. Therefore, every step of production will be inspected carefully such as to select good raw materials, to apply hi-technology machines, and to check product quality at the end of all processes. This is for achieving “CORNER” filter that is absolute in quality and reasonable in price. Boston engineering company limited. 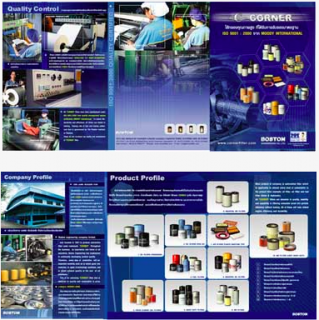 was founded in 1997 to produce automotive filter under trademark “CORNER” Throughout the business, by experience and vision of allexecutives,Boston Engineering has emphasized in continually developing product quality.